Dr. Lev Borodovsky is an investment professional with over 20 years of experience covering private equity, risk management and operations. Dr. Borodovsky was a founding team member, Chief Risk Officer and Managing Director of the GSO / Blackstone platform, one of the most successful global credit and loan investing platforms. Dr. Borodovsky was responsible for risk management on all hedge fund trading portfolios, private equity side-pockets, mezzanine and leveraged loan funds, distressed fund, and the CLO assets ($30 billion of assets in total). He also helped manage new fund set-ups and fund/vehicle restructurings across the firm. Most recently, Dr. Borodovsky was a Partner and Chief Risk Officer at Bell Point Capital Partners where he launched the Bell Point Credit Opportunities Fund and helped to increase the fund to over $500 million in assets under management. At Bell Point he developed the complete risk reporting infrastructure, covering various portfolio risks as well as counterparty, liquidity and financing risks. 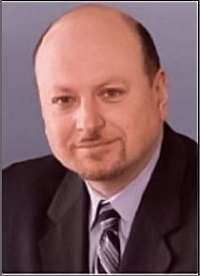 Prior to GSO / Blackstone, Dr. Borodovsky was the Head of Risk Management for the Alternative Capital Division at Credit Suisse First Boston where he was in charge of risk management for the Credit Opportunities Hedge Fund and oversaw risk management and attribution analysis for the CLO business. Prior to that he worked at both Barclays Bank and JP Morgan in their risk management and commodities groups. Dr. Borodovsky is currently the Editor of The Daily Shot, a chart-based newsletter covering select global economic and market trends that is now part of The Wall Street Journal. Dr. Borodovsky is the Co-founder of the Global Association of Risk Professionals (GARP) and is also the co-author of the FRM Certification and the Professional Handbook of Financial Risk Management. Dr. Borodovsky has a BS in Physics & Mathematics from the University of Oklahoma and a PhD in Physics from Columbia University.